Hazard insurance protects your home. 3. What Does an Excess of Surplus Funds Mean in Escrow Accounts? Hazard insurance protects you and your lender's financial interests in the event that your home is damaged or destroyed. You typically pay hazard insurance on an annual basis. Your lender may include insurance premiums in your monthly payment and hold the funds in an escrow account. In theory, you could save money if you self-escrow but in many instances lenders require you to escrow your hazard insurance premiums. 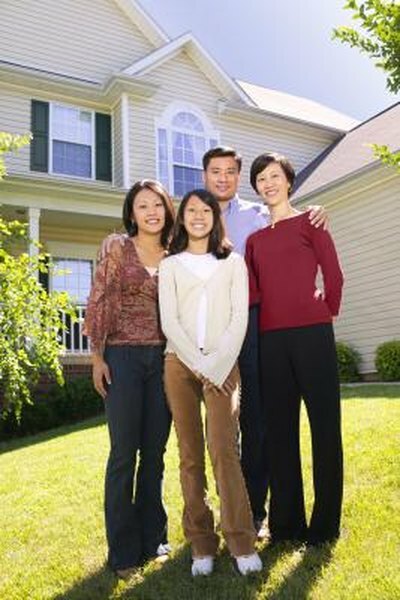 Your home serves as the collateral for your home mortgage. If you default on the debt, your lender can foreclose and recover its losses by selling your home. Likewise, your lender receives a compensation payout from your insurer if your home burns down or suffers some other calamity. Both you and your lender will take a financial loss if your home is uninsured. Consequently, most lenders require you to provide proof of insurance when you finance your home. If you allow your policy to lapse, your lender may buy a new policy on your behalf and add the cost to your loan balance. Some lenders take insurance verification a step further by paying hazard insurance on your behalf. On Federal Housing Administration backed loans, your lender must establish an escrow account for taxes but your lender can decide whether or not to escrow hazard insurance. Lenders are typically required to escrow hazard insurance premiums on first mortgages that are sold to Fannie Mae. Lenders can waive escrow requirements in certain instances, although under Fannie Mae rules the lender is still responsible for ensuring policies remain in place. Under the 2010 Dodd–Frank Wall Street Reform and Consumer Protection Act, you must escrow hazard insurance if your mortgage has a higher than average interest rate as of the rate lock date. The Dodd-Frank Act includes a number of exceptions some of which are designed to help small rural institutions that lack the resources to manage escrow accounts. In such instances you may not even be presented with the opportunity to escrow. Additionally, escrow requirements only apply to your first mortgage on your primary home. You do not have to escrow a home equity line or a mortgage secured by a vacation home or rental property. Even on a primary residence, you may have the option of paying hazard insurance yourself if you have at least 20 percent equity in the property. Insurance premiums and taxes fluctuate over time so escrow payments are based on your lender's best estimate of the year's upcoming costs. Legally, lenders must balance escrow accounts once per year to ensure adequate funds are on hand. A surplus will be returned to you while a deficit will cause a rise in your monthly payment. You could potentially make money if you self-escrow because you can invest your money in high interest accounts or other investments until the actual payment due date. On the other hand, you could run into trouble if your investments drop in value. You may pay more in the long run if your policy lapses and your lender buys one on your behalf at a premium price.